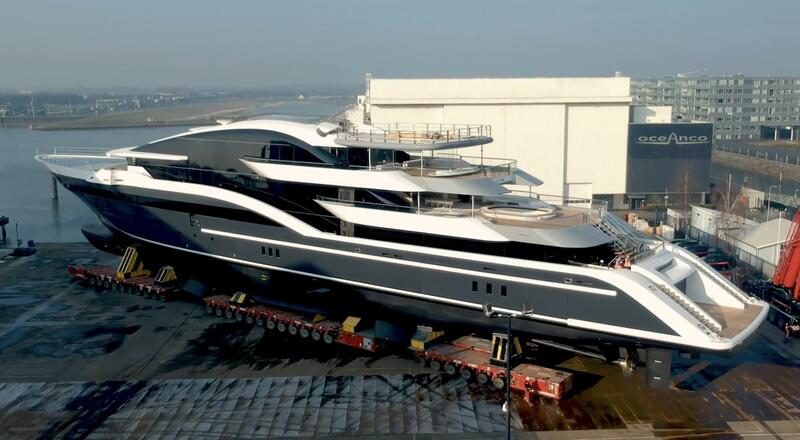 Oceanco delivers 90-metre (295-foot) superyacht Y717 (Project Shark). 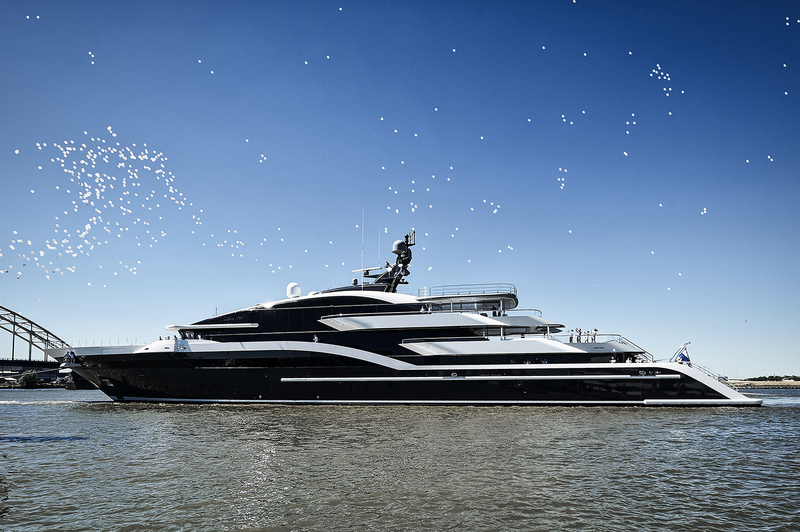 Oceanco claims its new 90-metre motoryacht, Y717, with its modern revolutionary exterior styling by DeBasto Design and sophisticated interior design by Nuvolari Lenard, is unlike any other superyacht afloat today. 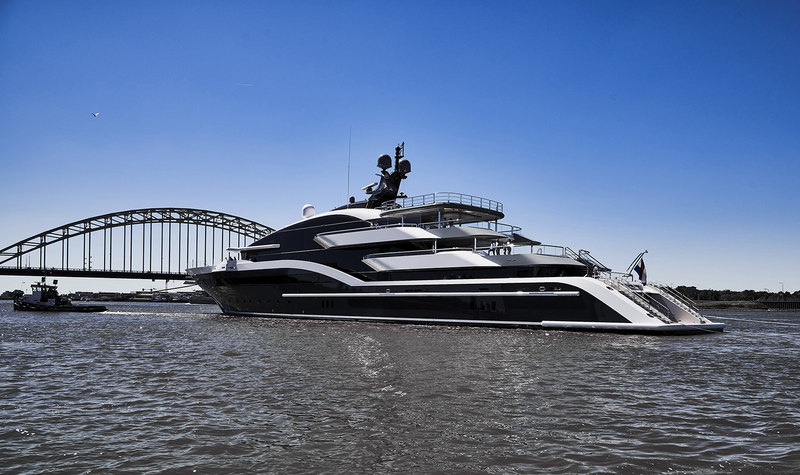 She reflects the latest advances in glass technology and she is the first yacht in the Netherlands to be given the official Lloyd’s Register Integrated Bridge System (IBS) notation and designation. Y717 features a superstructure completely finished in reflective glass. From the interior, the glass yields panoramic floor-to-ceiling views aft, port and starboard. Her design was conceived to maximize opportunities for outdoor living and to have direct contact with the marine environment. While the yacht yields a massive amount of volume, DeBasto has ensured that the profile remains long, sporty and lean without a top- heavy superstructure that characterizes so many very large superyachts. Y717 was dubbed ‘Project Shark’, as the wing stations when viewed from above, bear a distinct resemblance to a hammerhead shark, while the mast in profile is shaped like a fin, contrasting with the flowing rhythm of the hull below. “The main theme is nature, starting from blossom cascades, and moving to feathers, fish, waves and so on,” says Valentina Zannier, chief interior designer and junior partner at Nuvolari Lenard. Sharks play a vital role in the ecosystem of the world’s oceans keeping other marine life in a healthy balance. Similarly, Oceanco’s Project Shark is sure to play a significant role in future yachting designs of tomorrow.